The Knocks- NYC Lower East Side based producers, known for their epic remixes of major pop heavy-hitters (Flo Rida, Rihanna, Britney Spears, Katy Perry, Ellie Goulding), take L.A.'s The Satellite by storm January 14th, 2012. The Knocks just put out their own new set of original material via the Magic EP -Which will assuredly set the sonic vibe of sweaty dance clubs across the States in the New Year. FYM is here to give you your chance to see them before they ship off on the Weezer Cruise. 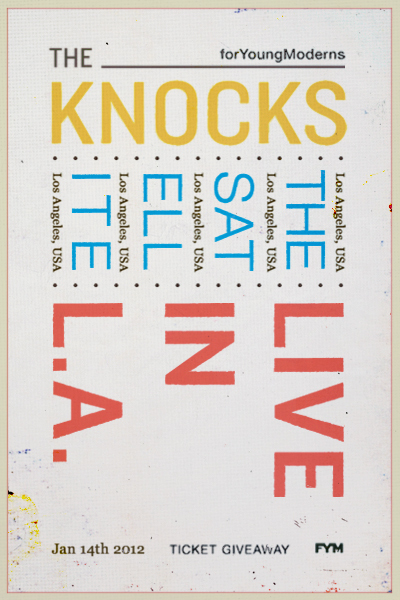 We have one pair of tickets to give YOU for The Knocks live in L.A. this Saturday! Entering to win is easy, just shoot an e-mail to our publicist, Nick 'Golden Boy' Codling, -nick@foryoungmoderns.com with 'THEY LIVE' in the subject line by Noon PST, Thursday January 12th, 2012. 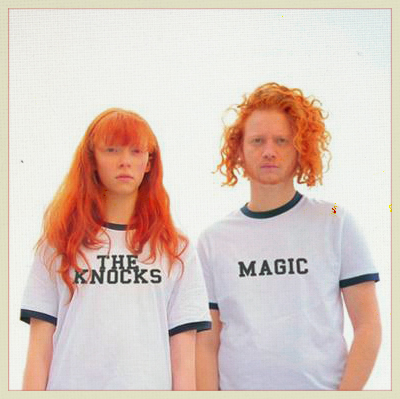 To get ready for The Knocks in L.A. visit their FB page HERE. While you're waiting to find out if you've won, check out their video for You Can Make It Better above. Cheers, FYM.